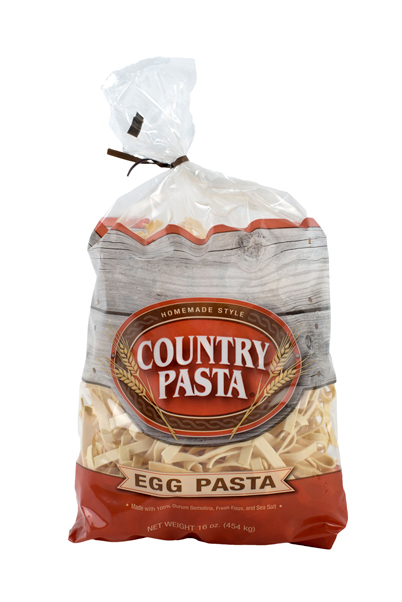 Enjoy our traditional homemade style egg pasta, perfect for soups, casseroles, and as a base for main dishes. You will receive 12 bags of pasta, so you can stock your own pantry or share with friends and family. Enjoy the wide version of our homemade style egg pasta for your stroganoffs, stews, and other hearty recipes. 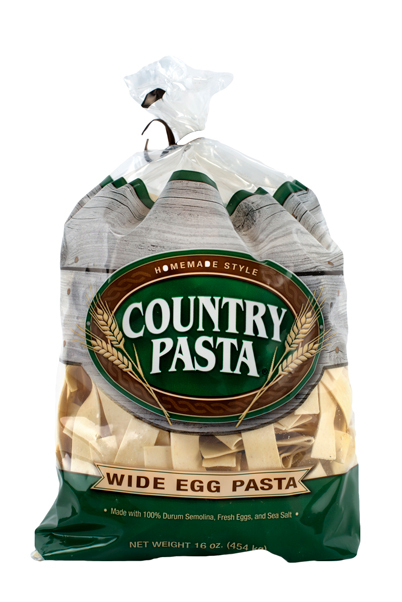 You will receive 12 bags of pasta, so you can stock your own pantry or share with friends and family. If you go through a lot of Country Pasta (like we do!) 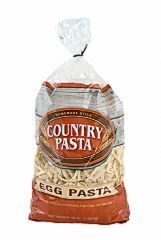 and prefer to buy in bulk, our 4-pound bags are the best option for you. 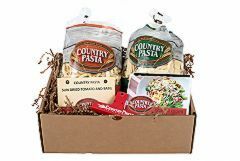 The perfect gift for the chef in your life—this gift set is filled with two bags of Country Pasta, two pasta sauce mixes, a recipe booklet, pasta scoop, pasta bag clip, and a Country Pasta apron. 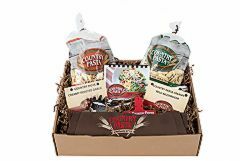 All items are neatly arranged in a natural kraft gift box. This will be a culinary delight for anyone who enjoys cooking. A greeting card is included with your gift set purchase. Please be sure to let us know what you’d like the message to say. The perfect gift for a wholesome meal—our gift set includes two bags of Country Pasta, a recipe booklet, one package of sauce mix, and a pasta bag clip neatly arranged in natural kraft gift box. 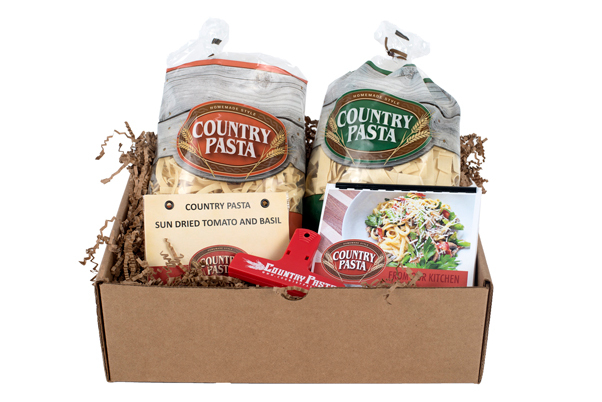 The recipient of this gift set will surely enjoy the goodness of homemade pasta, without the homemade mess. 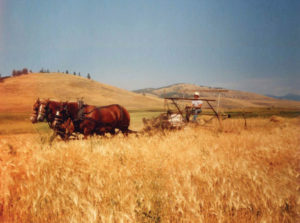 A greeting card is included with your gift set purchase. Please be sure to let us know what you’d like the message to say.